How Does the Microbiome Affect Your Mouse Model? Researchers are still determining the full effect of the gut microbiota on immune system development. The best known example being reliance of Th17 responses on the presence of segmented filamentous bacteria (SFB). This past August, researchers at Washington University published a paper titled, "Lactobacillus reuterii induces gut intraepithelial CD4+CD8αα+ T cells" in the journal, Science. 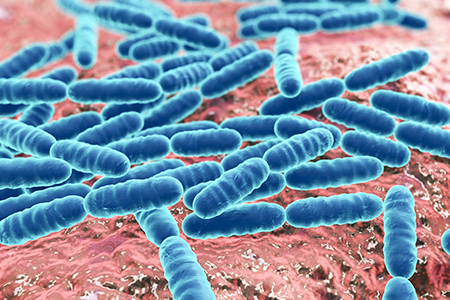 The authors demonstrated another function of the gut microbiota, and were able to determine an effect because of a single member. Tryptophan metabolites of L. reuterii activated the aryl hydrocarbon receptor leading to the reprogramming of CD4+ intraepithelial lymphocytes (IEL) into double-positive (DP) IEL. DP IEL are absent in germ-free mice, but can be induced following association with L. reuterii. Thus, as a researcher interested in studying DP IEL, it is critical that your model's microbiome contain L. reuterii or you develop strategies to associate your experimental animals accordingly. This study provides another example of how understanding your mouse's microbiome before beginning a study may affect the performance of your model.